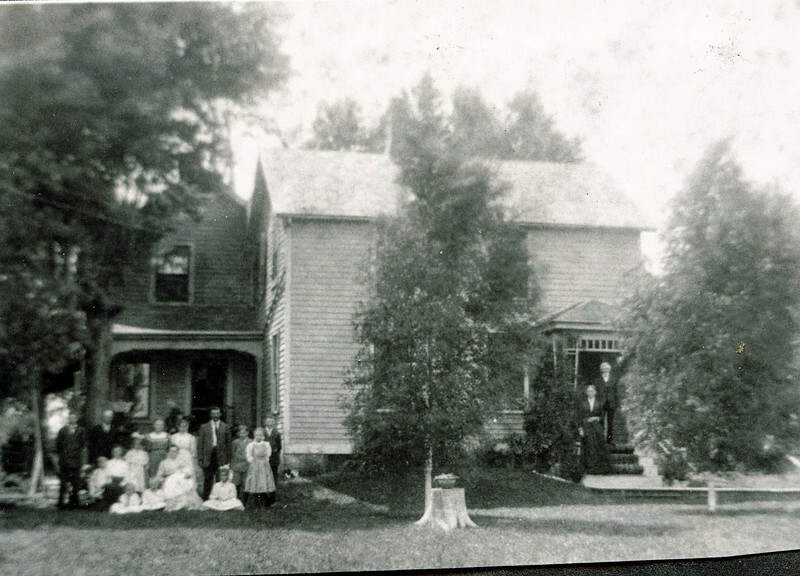 Edwin Dew farm home. Written in the Rogers Reunion Photo Album Volume III page 6 next to the photo “Edwin Dew farm home on 80 acre farm, 1/1/2 miles north of Polo, Illinois at the Junction of routes US 52 and Illinois 26 (formerly referred to as ‘the Y’. Edwin and wife Priscilla on the porch at right. Family to left L to R in back row Perry Dew, Ailliam Dew, perhaps Minnie (Dew) Good, ____, Sam Good. The lady in front with the baby is probably Fannie Dew wife of William".